According to a report published today, Apple has managed to block sales of Samsung’s Galaxy Tab 10.1 in another major country (and continent): Australia. The news comes from The Sydney Morning Herald – an Australian newspaper – in an online post where they discuss Apple’s success at blocking the sale of Samsung’s Galaxy Tab 10.1 in Australia. The Federal Court in Australia announced earlier today that Apple has been granted an injunction to block Samsung from selling their Galaxy Tab 10.1 tablet in Australia. This is apparently because the Galaxy Tab 10.1 infringes upon two Apple patents related to touchscreen and multi-touch technology. This is after Samsung offered Apple to reduce multi-touch functionality in their Galaxy Tab 10.1, which the latter refused. The Federal Court has granted Apple an injunction to block tech rival Samsung from selling its Galaxy Tab 10.1 in Australia. Apple is suing Samsung for patent infringement, arguing the firm "slavishly" copied its market-leading iPad tablet. Justice Annabelle Bennett today said Apple had a prima facie case that Samsung had infringed two of its patents relating to touch screens and the gestures that control them. 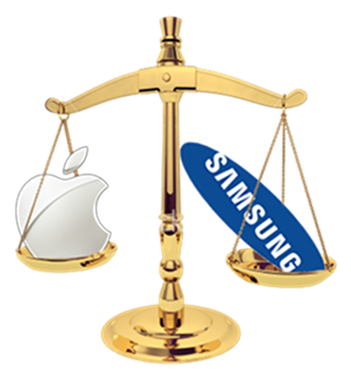 The entire legal battle started back in April in the United States when Apple first sued Samsung. Since then, Apple has sued Samsung in multiple countries with the South Korean electronics company even countersuing Apple in different countries. Sales of the Galaxy S II are banned in over 30 European countries while the Galaxy Tab 10.1 is already blocked from sales in Germany. Apple cites Samsung’s “slavish” imitation of their iPhone and iPad products as the main reason behind the lawsuits. The issue Apple basically has with Samsung is how they make their products look, work and even feel like they are Apple products. We won’t discuss this in detail, but we will surely leave this little image for you to see. "Samsung will continue its legal proceeding against Apple’s claim in order to ensure our innovative products remain available to consumers,"
Whether or not Apple is right in blocking sales of Samsung’s products doesn’t matter as much as how this will lead to less choice for the consumer and, of course, less competition which is never a good thing to happen.